Servicing modern vehicles, especially quality vehicles such as your VW, is a complex business. The electronics and control mechanisms used to help your VW perform correctly, are finely balanced. Whilst part of correct servicing is ensuring that the filters, oil, etc. are replaced with suitable parts, a service on a VW also requires specialist electronic analysis. Alastair Reid Garages are one of the few independent garages in Scotland that have invested in modern equipment that is dedicated to servicing and diagnostics on VW vehicles. Supported by a high standard of training and access to model specific experts, Alastair Reid Garages can deliver a service for your VW that is unparalleled by any independent garage in Perthsire, Tayside or Fife. Alastair Reid Garages is your local independent VW specialist and offers 3 levels of service depending on your requirements. Whichever service is right for you, then you can be assured that you receive the highest standards of workmanship from our skilled technicians using independent VW state-of-the-art test, diagnostic and service equipment. Further, your warranty is protected when your car is serviced with Alastair Reid Garages your local independent VW Specialist. The European Commission has required manufacturers to release data to enable independent suppliers such as Alastair Reid Garages your local independent VW Specialist, to undertake all necessary servicing and repairs. Moreover, the manufacturers must also honour warranties even if servicing is undertaken outside the dealer network, providing defined standards are met. Complex vehicles such as your VW are fitted with management systems that help monitor and adjust the performance of the vehicle based on driving style and road conditions. Whilst this enables your VW to operate at peak performance at all times, care must be taken when undertaking analysis or investigating any issues, to ensure the correct data is obtained. Quick and accurate diagnosis of your VW is vital to help easily rectify issues that may arise, guarantee you are off the road for the minimum and ensure any replacement parts are compatible with the vehicle data systems. 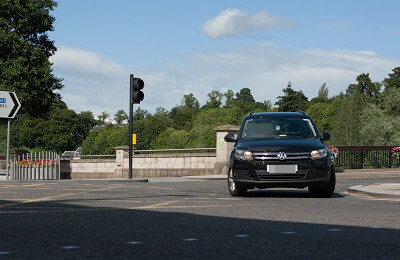 In Perth, Alastair Reid Garages your local independent VW Specialist is the place to visit. If you have a problem with your VW, then we will be able to quickly diagnose your issue. Our highly trained technicians with the latest diagnostic equipment are the reasons other garages come to Alastair Reid Garages your local independent VW Specialist when they have diagnostic problems with VW vehicles! Alastair Reid Garages have invested in the training, support and equipment that makes Perth's leading independent VW service and repair centre available to you. Delivering the most comprehensive diagnostic, service and repair facilities available to any independent garage, means that you are back on the road more quickly and more reliably. 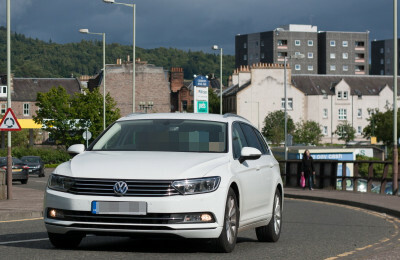 The Perth garage has access to a higher level of diagnostics on VW cars than the majority of garages in Scotland. When it comes to VW fault analysis and diagnostics Alastair Reid Garages is second to none in the area as the garage is able to read, reset and check the fault code information provided by the vehicle management system. Additionally, the Perth garage is able to code and program vehicle modules or provide software upgrades and enhancements. Additionally, the garages are able to undertake dynamic testing and analysis to a degree that is rarely seen in independent garages. Alastair Reid Garages is, without doubt, your independent VW Specialist. All this helps you feel confident in the knowledge that your VW is in safe hands and will be back to peak performance in the shortest possible time. Our diagnostic capabilities ensure you have a full picture of the status of your vehicle, whether it is in for a service or diagnosis of a particular fault. Alastair Reid Garages independent VW Specialists are one of the few independent garages in Scotland that have invested in modern equipment dedicated to servicing and diagnostics of VW vehicles. Supported by a high standard of training and access to model specific experts, Alastair Reid Garages your local independent VW Specialist can ensure that your VW is repaired to the highest standard and is returned to you performing as it should. 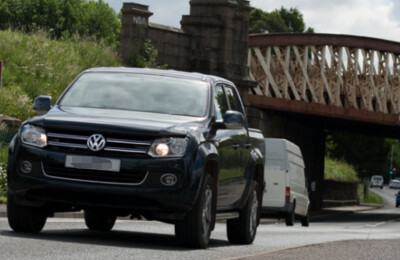 Alastair Reid Garages is your local independent VW specialist. 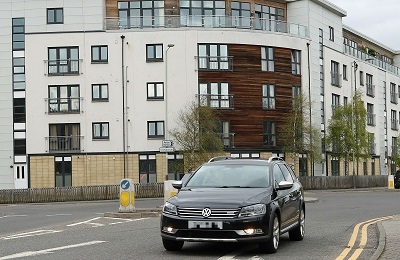 All vehicle manufacturers, including VW, deliver their vehicles with a software and management configuration that is a trade-off between performance and economy in a "model" climate. You do not operate in a model climate and prefer to sacrifice economy for performance or vice-versa. The configuration supplied by manufacturers will deliver a uniform product based on general conditions, it does not leave your vehicle operating at optimal performance for you. Alastair Reid Garages your local independent VW Specialist has teamed up with the UK's largest supplier of performance software to offer you ECU re-mapping or chip-tuning to help you gain economy and performance improvements. Performance enhancements for VW models specifically designed for the UK market can be supplied by Alastair Reid Garages your local independent VW Specialist. This means your vehicle is programmed for the range of driving conditions, temperatures and fuel types used in the UK market. The result is that your VW will operate at a level of performance that suits you, your preferences and your environment. 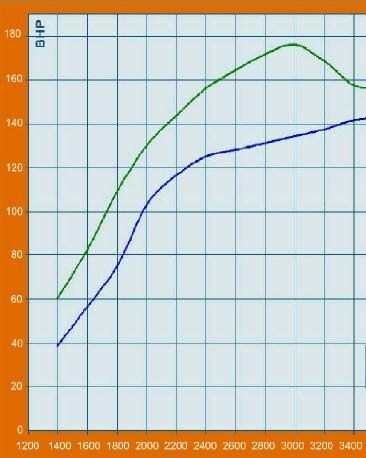 The graphs to the right show the improvement that is available with a software enhancement. Depending on the engine, a power increase of up to 20% and torque increase of 20% can be obtained on VW models. All of this is achieved through a software performance enhancement from Alastair Reid Garages your local independent VW Specialist, enabling the vehicle management system to perform more appropriately for the driving conditions you will find in the UK. The resulting increased performance will vary depending on the specific engine characteristics, but typically results in an increase of 15% to 20% on maximum power and a 15% to 20% increase in maximum torque. When it comes to car fault analysis and diagnostics you want a service that will quickly and accurately diagnose the issue to ensure a swift resolution. Alastair Reid Garages is second to none with the latest state-0f-the-art diagnostic tools at your disposal supported by model specific experts. Modern vehicles, employ complex electronics and control systems and need to be serviced right. Having access to specialist equipment is essential in ensuring optimum performance while checking all vehicle systems are operating perfect leading to trouble-free motoring for you. Alastair Reid Garages are one of very few independent garages in Scotland that have invested in state-of-the-art equipment and training for our team members. Providing you with dealer level diagnostics and repairs. You can be confident that your car is repaired to the highest standard. Suppliers deliver their vehicles with a software and management configuration that is a trade-off to match the performance of the vehicle across global markets. Changing the performance characteristics of your car for your particular driving needs can give economy and performance gains. Why use Alastair Reid Garages? Full range of services in Perth garage and Guildtown garage - MOT, servicing, tyres, exhausts, engineering etc. You can visit Independent Alastair Reid Garages in complete confidence, knowing you will be looked after. Not only do we guarantee all of our work (parts and labour) for 12 months, we also subscribe to codes of practice. As a Bosch appointed service centre we adhere to the OFT code of conduct for garages, in addition we are members of the Scottish Motor Trade Association, Good Garage Scheme and Motor Codes, all of which give you security in the knowledge we will take care of you and your vehicle. In the unlikely event that you wish to challenge the work that Alastair Reid Garages have undertaken, then please contact the garage directly in the first instance. Should you not be happy that this issue is resolved then you can contact Motor Codes via their website, they provide dispute resolution services on behalf of Alastair Reid Garages. This site is owned and operated by Alastair Reid Garages, all information displayed is © Alastair Reid Limited, Perth Garage 9 Whitefriars Street, Perth. PH1 1PP and Guildtown Garage, Guildtown, Perth-shire. PH2 6BS. We always appreciate your feedback. Please let us know either by filling in a feedback form when you collect your vehicle or by filling in online feedback. Alastair Reid Garages is a member of the Good Garage Scheme and you can leave feedback on the following links.